Most of my early radio parts came from the local rubbish tip! Avoiding the tip wardens and the lime pits made for an exciting side hobby. Then we had an aladdins cave of treasures in an old military surplus store. It was piled to the ceiling with ex-military gear, and outside was more under tarpaulins. The owner was knowledgeable and generous with the equipment, leading to making some nice simple home brew equipment. 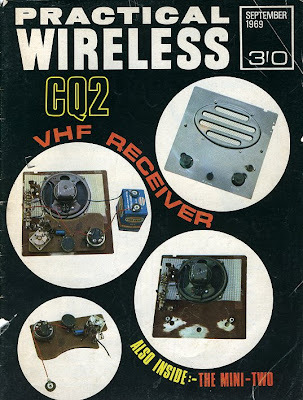 This gear would not survive long on todays bands, due to stability problems etc, but like the footings of a building, supported todays radio edifice. I wish I had kept that ceramic silver plated roller coil though.